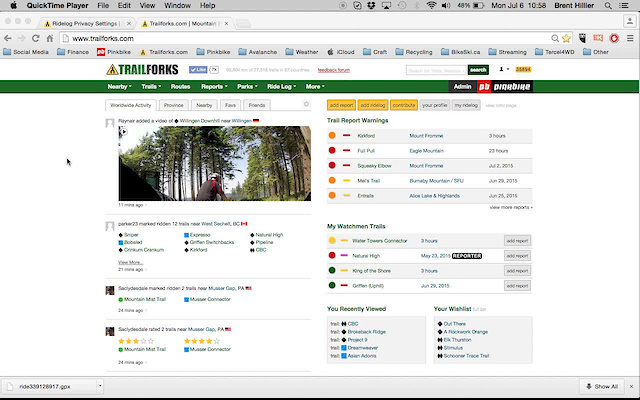 Trailforks has a variety of settings to control various levels of privacy for users ride logs. When adding or editing an individual ridelog there are some settings at the bottom of the form. Unselecting "Public" means only you will be able to view this ridelog, it won't show on friends dashboards, activity feed, or any ridelog lists. If a user trys to view your ridelog, they will get an error page. When you view it, you'll see the below message informing you its private. The 2nd option "Hide GPS & Trails Ridden" means your ridelog is still public as far as basic details, like title, friends, distance, time. But any location details are hidden, like the location, map & trails ridden. This is useful if your ride contained some secret or sensitive trails. When bulk importing rides from Strava or Mapmyride you can apply privacy settings on all the imported items. For rides imported from Stava, the gps data within your "privacy zone" is not imported and we do not import private Strava rides. If we detect your ridelog goes along any "hidden/secret" trails your ridelog will be flagged as "sensitive". The hidden trails won't be show in the list of trails ridden and this message will be displayed. Trailforks is working on several heatmaps which can be used to fill in missing trails or to get a visual sense of the most ridden trails in an area. We may make a public version of the heatmap if we determine we can filter out most the illegal trails. Your ridelog won't be used in the heatmap data if its not public, the hide gps option is checked or its flagged as "sensitive". Also related is your profile page's privacy, by default it is public, so people not logged into the site can view it and your public ridelogs (it is not indexed by search engines though). There is an option in your profile settings page to make your profile and all its sub-pages not public. Trailforks by default asks for the "view_private" permission as many users want to import their private rides to Trailforks. When a private Strava ride is imported it remains private on Trailforks. However any Strava privacy zone cropping is ignored. You have 2 options, you can choose to uncheck the "view_private" permission and not import any private activities. 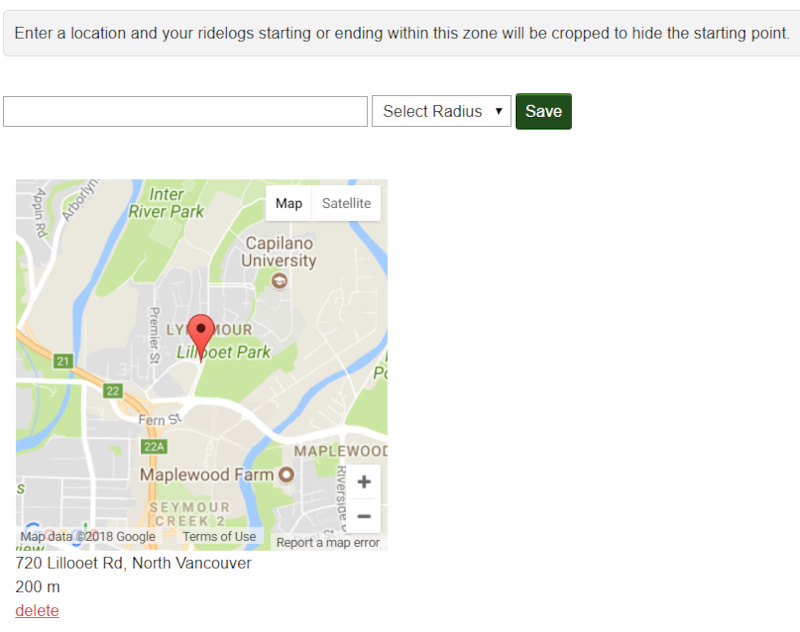 Or you can setup privacy zones on Trailforks and have them cropped like Strava does. Look for the privacy zone feature in your profile settings. Privacy zone setup on Trailforks.